Dr. Michael Stanton – Michael C. Stanton, M.D. Dr. Stanton is a Rochester native graduating from Honeoye Falls-Lima High School. He then received his Bachelor of Science in Biology from Rochester Institute of Technology. While at RIT, he played 4 years of Varsity Basketball. After college, he traveled to Syracuse, NY for medical school at SUNY Upstate Medical University where he earned his Doctor of Medicine. Returning to the Rochester area, he completed 5 years of Orthopaedic Surgery residency training at the University of Rochester. To enhance his sports medicine knowledge and training, Dr. Stanton completed a Sports Medicine Fellowship at the Kerlan-Jobe Orthopaedic Clinic in Los Angeles, CA. During this fellowship, he assisted with coverage of professional and Division I collegiate games including the Los Angeles Lakers, Los Angeles Kings, University of Southern California, and Loyola Marymount University. 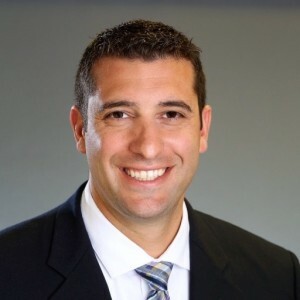 Currently Dr. Stanton provides Orthopaedic surgical care for Rochester Institute of Technology as well as several local high school athletic programs. Safe Angle of Anchor Insertion for Labral Repair During Hip Arthroscopy. Effect of Subspine Decompression on Rectus Femoris Integrity and Iliopsoas Excursion: A Cadaveric Study. Acute Traumatic Tear of Gluteus Medius and Minimus Tendons in a Patient Without Antecedant Peritrochanteric Hip Pain. A Single-Tunnel Technique for Coracoclavicular and Acromioclavicular Ligament Reconstruction.